NO VENDOR CHAIN! HOME ESTATE AGENTS are delighted to bring to the market this realistically priced three bedroom semi-detached property located on the popular Humphrey Park in Urmston. Boasting several reception rooms and three good sized bedrooms this appealing property is worth viewing. The location is ideal to access Urmston town centre and is only a short walk away from all local transport links. 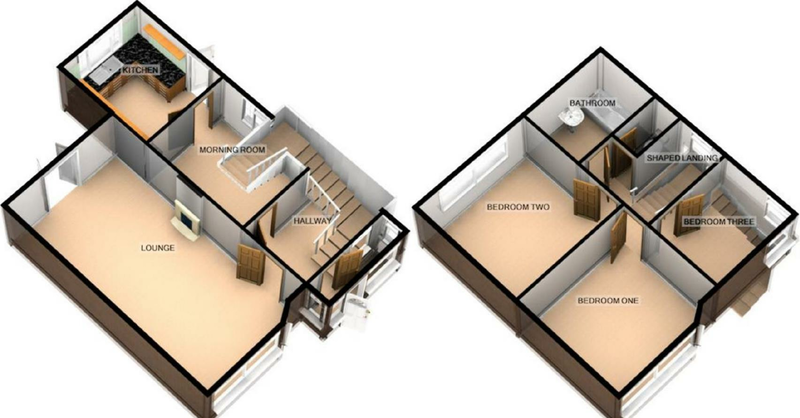 The accommodation comprises of hall, through lounge, dining/morning room and kitchen. To the upstairs are three good sized bedrooms a family bathroom and separate WC. The property is double glazed and warmed by gas central heating. To the outside front is a fenced garden and driveway offering off road parking leading to the detached garage and mostly lawned rear garden. To book your viewing call HOME on 01617471177. UPVC double glazed bay window to front. UPVC double glazed window to rear. Television point. Single panel radiator. UPVC double glazed window to side. Single panel radiator. UPVC double glazed window to rear. A range of wall and base units. Rolled edge worktops. UPVC double glazed window to side. Shaped. Open balustrade. UPVC double glazed window to front. Double panel radiator. UPVC double glazed window to rear. Double panel radiator. UPVC double glazed opaque widow to rear. Pedestal wash hand basin. Bath. Splash wall tiling. To the outside front is a fenced garden and driveway offering off road parking leading to the detached garage and mostly lawned rear garden. To book your viewing call HOME on 01617471177.